Mid-Cal Construction has become the marine contractor of choice for San Francisco’s Pier 39. Recent projects include the replacement of gangways and installation of an ADA compliant elevator for marina access. 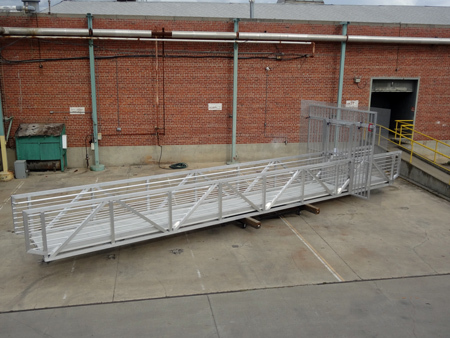 Presently we are preparing to replace the E Dock gangway with one of our new 30’ aluminum gangways. 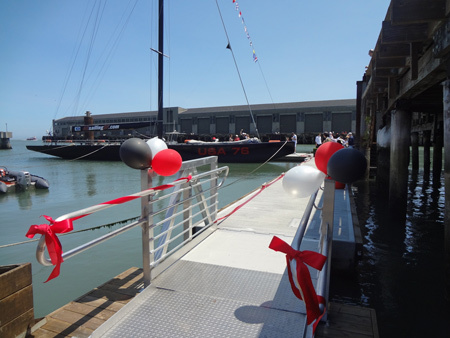 We have recently installed a new concrete dock to berth a former America’s Cup yacht, now adopted for boat tours. We are also beginning the systematic replacement and refurbishment of marina docks, working hand in hand with Pier 39 maintenance staff.